Singapore is a shopping haven, and because there are so many different shopping malls, it can be a bit confusing for visitors to navigate their way and find just what they’re looking for — which is why we’ve made it our mission to simplify things for everyone. 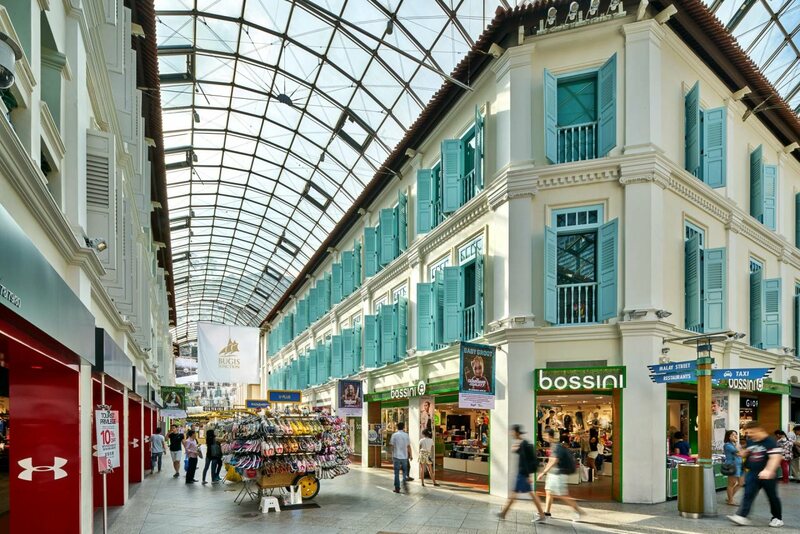 Here is part two of the best shopping malls you should visit in Singapore. If you’re here in Singapore to do some shopping, you’re going to want to be at Orchard Road, which is where The Paragon is located. Right in the heart of the city, there’s plenty to see, do, and buy — and you won’t have to travel far for it. Whether you’re an extravagant customer looking for luxury goods at designer boutiques, or a bargain-hunting fashionista looking for the best deals, you can find it at The Paragon. High-end fashion brands like Burberry, Jimmy Choo, and Miu Miu can be found here, as well as more affordable brands like Esprit, Coach, and Calvin Klein. If you’re ready to spend, get ready to be rewarded! Paragon has an exclusive rewards system for people who spend, spend, spend. For example, if you spent at least S$500, you’re entitled to a free drink, and if you spend a minimum of S$1,000, you’ll receive a stylish card holder. Bump it up to S$2,000 and you’ll get a free limousine ride to anywhere you want — the more you spend, the better the rewards. Have you ever been shopping and heard your children whining, crying, and grumbling about having to tag along? Here at The Paragon, they won’t have to. You can choose to leave your children at the Mind Champs Preschool on the sixth floor, where childcare experts will keep them occupied in a fun and safe way. Not only do your kids get to have fun and enjoy themselves, but you too can enjoy an uninterrupted time shopping without having to worry about them — a win-win situation for everyone. Right in the heart of Singapore’s Civic and Cultural District, Bugis Junction is a hip and trendy spot where many teenagers and youths hang out every weekend. It has a unique colonial architecture design, and there is plenty to see and shop for in this charming shopping mall. With three floors and over 80 stores, there’s no lack of things to see here. Popular fashion brands like Fred Perry, Converse, and Cotton On are some of the major tenants here. Regional and local brands like Charles & Keith, L’zzie, and Akihabara can also be found here, so there’s definitely something here for everyone. Right next door to Bugis Junction is Bugis Village or Bugis Street, and this area is one of the street markets in Singapore. From bargain clothes to yummy street food, stalls are set up side by side, with stall owners calling out to people walking past, in the hops of making a sale. It’s fairly rare to find street markets like these in Singapore, so it’s always a good idea to check it out, especially if you’re looking for some cheap deals. Bugis Junction is a vibrant and lively place, which is why teenagers and young adults love it. There’s plenty to see and do, with no lack of dining or entertainment options. Right at the top floor of the mall lies a movie theatre where you can catch the latest blockbusters, and also an arcade for you to have fun with friends. VivoCity may not be in the downtown area, but it can hold its own. In fact, VivoCity is Singapore’s largest shopping mall. With over 340 stores full of wonderful things to see and buy, you’ll never be disappointed when you visit VivoCity. You won’t find many high-end luxury brands here, but you will find an abundance of affordable yet stylish offerings. Brands like Charles & Keith, Pedro, Forever 21, Zara, G2000, Superga, and Mango can be found here. Tired of shopping? Come catch a movie at Singapore’s largest movie theatre, where you’re sure to have a cinematic experience like no other. There’s much more than just shopping at VivoCity — there’s plenty to keep you entertained as well. Right at the top of the building is a sky park unlike any other. There’s a rooftop amphitheatre where performances are occasionally held, and a wading pool for shoppers to sit down and rest their weary feet. There are even paddle boat rides for children and an indoor playground for them to run around and have fun. Just across the water from VivoCity lies Sentosa Island. Known as Singapore’s premier island resort getaway and “The State Of Fun”, there’s no lack of things to enjoy on the island. Pay a visit to Universal Studios Singapore and have a blast on all the thrill rides, or take a stroll through the SEA Aquarium and explore the wonders of the ocean. To get to Sentosa, you can take the monorail from VivoCity itself, or take a short stroll across on the Sentosa Boardwalk.